5.0 oz clear cello bag filled with 15 hand dipped milk chocolate candy English toffee confections. Rich, buttery toffee is made to order fresh in our confectionary kitchen. Bag is heat sealed to ensure freshness.Makes a great food gift or promotional giveaway. 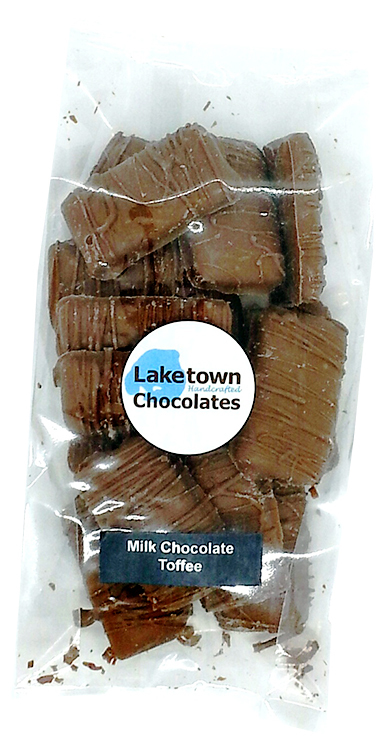 Also available in different size bags and in dark chocolate version.